The 70th anniversary of our National Health Service has, quite rightly, attracted a great deal of national attention. Organisations have been marking the occasion in different ways. As chair of the Aneurin Bevan Society, I have a special responsibility to ensure that the continuing importance of Bevan’s values is highlighted: as Minister of Health and Housing, his vision and strategic nous brought the NHS into existence on 5th July 1948. Healthcare free at the point of delivery based on need not ability to pay is precious and must be protected. 70 years ago, every home in the country received a pamphlet from the then Labour government capturing the impact of the new NHS: “It will relieve your money worries in a time of illness.” This sense of reassurance and the compassion of NHS staff epitomise the value of the service and are benefits that resonate with the British public now. Aneurin Bevan also left a great legacy to the labour movement itself. The NHS was inspired by the model of the Tredegar Medical Aid Society, which provided healthcare to thousands of local people funded by individual financial contributions. Whilst voluntary groups and local councils could provide decent healthcare at the time, it was not a guarantee of a universal standard for every citizen. The NHS is a living demonstration of the aim in the Labour Party constitution that we achieve more together than we achieve alone. On that basis, it seemed an obvious way to commemorate seven decades of comprehensive healthcare in the UK was to speak to all living past Labour leaders about the significance of the creation of the NHS, and what the NHS means to them. Jeremy Corbyn was kind enough to introduce the series and record his own feelings about our NHS. You can watch the series on my YouTube channel, and on the seventieth anniversary itself, a compilation will be published. Every past leader gave a different perspective, but all were united around the great value of our NHS. Lord Kinnock noted the stark contrast between the healthcare we enjoy with that of our Atlantic neighbours, the United States. There, healthcare remains a commodity – one of Bevan’s outstanding contributions to the debate on healthcare in this country was to make it a right, not a luxury. Dame Margaret Beckett spoke one of the truths of post-war British politics when she said that every Tory government leaves the NHS in a worse state than they found it. As Shadow Secretary of State for Health in the mid-1990s she recalled the state in which the 1979-97 Tory governments left the NHS. Another past leader with experience as Shadow Secretary of State for Health in the 1990s, Harriet Harman, recalled the consequences of Tory policy on the NHS: waiting times increasing and an Accident and Emergency crisis, which sounded depressingly familiar. Tony Blair recalled his mention of Aneurin Bevan in his 1997 party conference speech. He told me he was inspired by Bevan’s passion in presenting the case for the NHS. As Ed Miliband said, the NHS as a piece of real socialism at the heart of Britain is a living, breathing institution that brings benefits to people every day. Gordon Brown recalled the huge increase in NHS funding during the period of the 1997 to 2010 Labour government. In 1997, when that Labour government first took power, NHS funding was just under £58bn a year. It then rose to just under £118bn when Gordon Brown left office as Prime Minister in 2010. The waiting lists and winter crises that defined Tory stewardship of our NHS became a thing of the past. But after eight years of the Tories in power, supported by the Liberal Democrats for five of those years, the NHS is again underfunded. Promises of “extra” funding for the NHS – which are in reality a “standstill” settlement at best – will not provide the resources needed. The reality is that we are once again under a Tory government with crippling austerity policies. In Wales, we have a Labour government that is a counterweight to their worst effects but is still reliant upon funding from Westminster. We need a UK Labour government under Jeremy Corbyn to once again put the health service back on its feet. Bevan’s infectious passion has embedded itself within society’s consciousness, and whilst we continue to speak out and defend it, the NHS can remain an institution that will endure. Thank you to the NHS: let’s continue to make the case for it and look forward to a further 70 years. 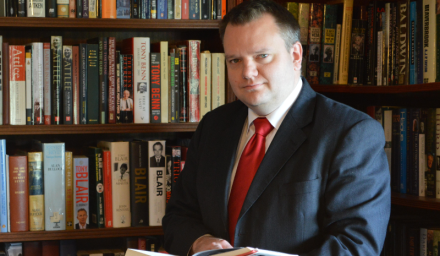 Nick Thomas-Symonds is MP for Torfaen, a biographer of Aneurin Bevan and chair of the Aneurin Bevan Society.